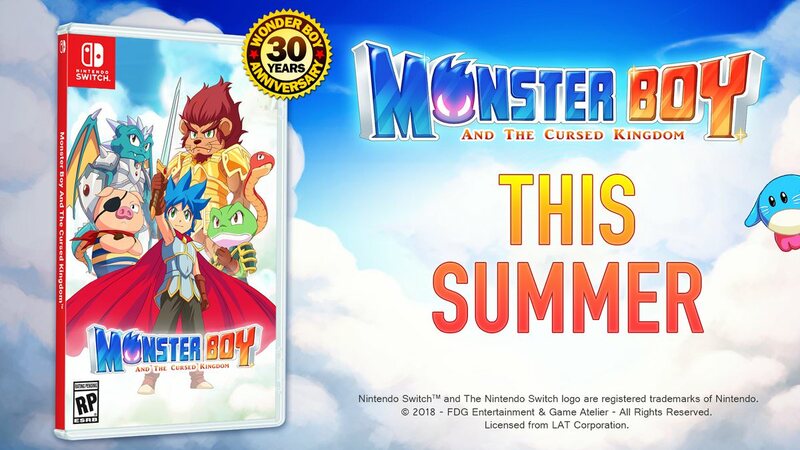 FDG Entertainment has revealed that the upcoming Monster Boy and the Cursed Kingdom will launch in both digital and physical formats, with Sega helping in the publication of the latter. 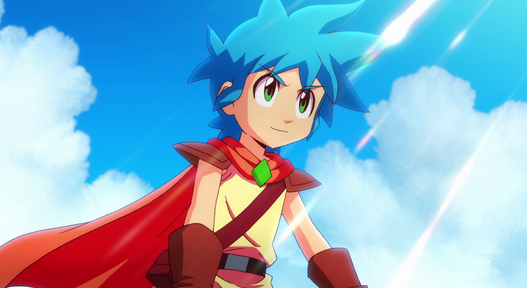 Monster Boy is seen as the spiritual successor to the famous Wonder Boy series, which Sega owns the rights to. 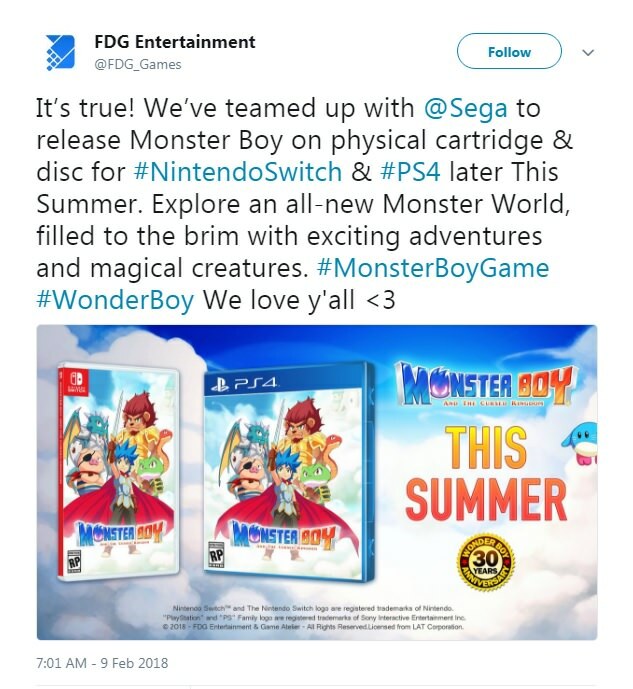 Previous Wonder Boy games were released on Sega systems, and the third entry was recently rebooted on Switch. 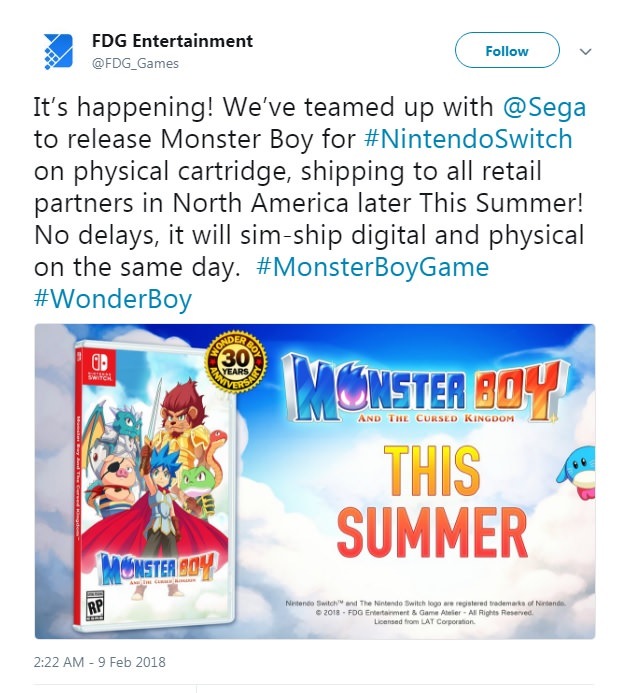 Both the digital and physical versions of Monster Boy will launch in the summer at the same time. Awesome. I'll be getting the PS4 version. Glad this is getting done as I've been more interested in this game than the WB3 remake that came out a little while back. as well....on February 13th, this coming Tuesday. Also, the Dragon's Trap remake has a Limited Run Games PS4 release and a multi-language version in asia thats region free. So lots of ways to own it, at least for PS4. Nintendo Switch version of the game is outselling the PS4 version with a ratio of 10:1. 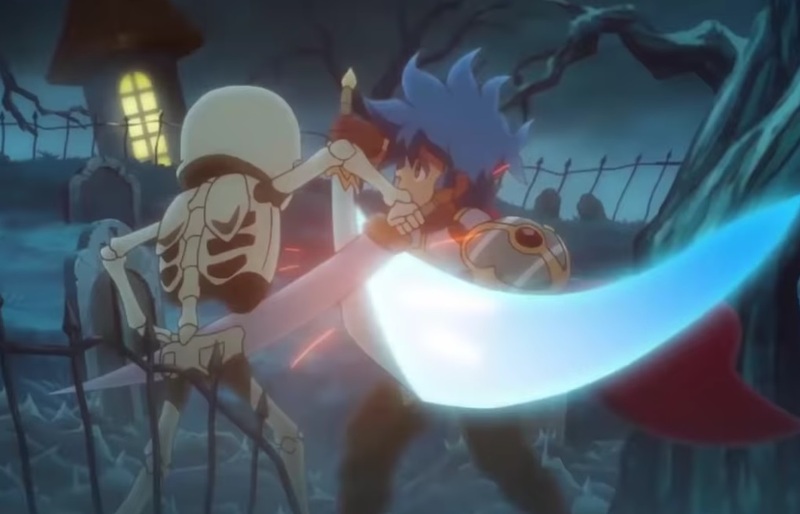 That is not just double, but that it’s ten times stronger than the PS4 version. Impressive! I've pre-ordered both. 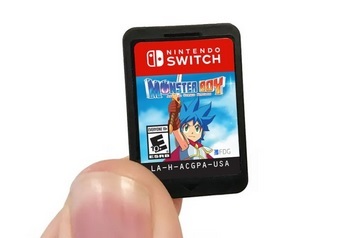 I don't own a Switch, but I have been pre-ordering games that I think I will play on the system when I end up getting one. This game is dope man. Especially the feel of playing in PS4 is no doubt the best, atleast for me.